Carly has been a long time supporter of NHM and has been following pretty much since the beginning. I had no idea that this was going on for her family, so I’m going to do what I can to help them. Any charity donations that are made at the NHM Spring Expo will go towards Ready Emmy Walk. We are a family of four from Lychpit in Basingstoke. We have a five year old daughter called Isla and a two year old daughter called Emmy. 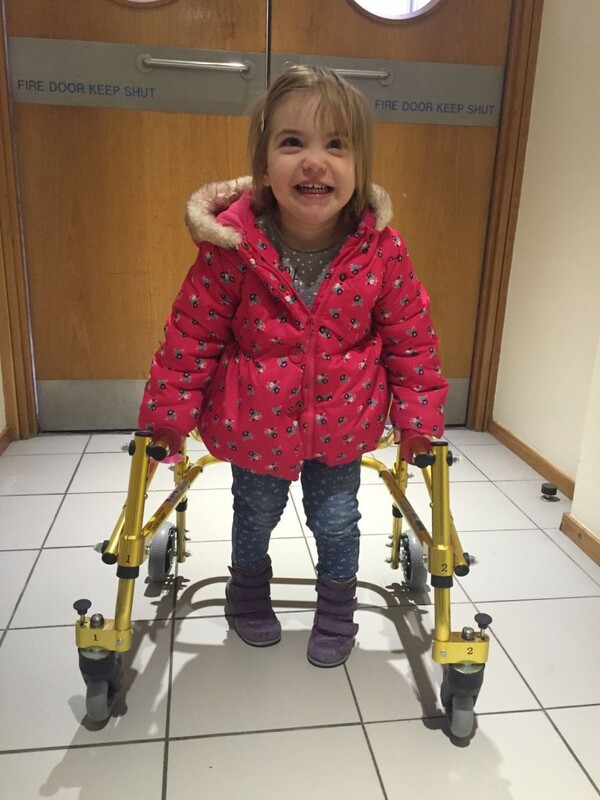 We are currently trying to raise £85,000 to fund Selective Dorsal Rhizotomy (SDR) – a life changing spinal operation to help Emmy walk. Emmy is an identical twin. At 23 weeks gestation, I developed acute Twin to Twin Transfusion Syndrome (TTTS) and had an emergency laser ablation surgery on my placenta. The laser surgery was the only hope that both our daughters would survive. Three days after the emergency surgery, we found out that one of our daughter’s hearts had stopped beating. In the doctor’s next breath, they also told us that this most likely meant that our surviving daughter would have some form of brain damage, due to an interruption in the blood flow to her brain when her sister died. Emmy was born suddenly at 32 weeks gestation (8 weeks prematurely). She was immediately whisked away from us to the neonatal intensive care unit and we said goodbye to her twin sister, Ava, who was born sleeping. 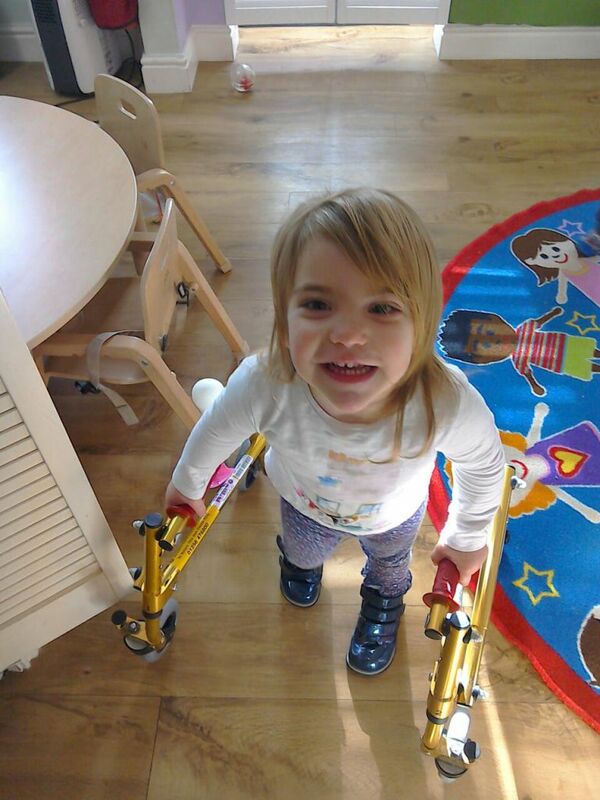 Emmy’s Cerebral Palsy causes increased muscle tone in her legs and feet which makes them constantly stiff. This affects her balance and coordination, making simple things such as crawling, cruising and even sitting up harder for her. Emmy is not yet able to stand or walk independently. There isn’t a cure for Cerebral Palsy, but there is a life changing surgery available called SDR which is a special technique that involves cutting some of the damaged sensory nerve fibres which are causing the muscle stiffness. SDR is the only surgical procedure that permanently eliminates the spasticity in the legs. Spasticity causes a lot of pain, and over time, shortening of muscles and tendons, joints contractures and bone deformities. 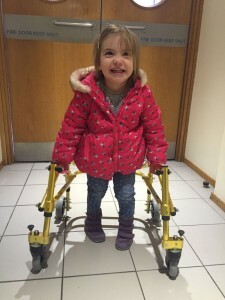 Without SDR, Emmy would face multiple orthopaedic operations, Botox treatment and leg casting throughout her life and would ultimately need a wheelchair. The results from SDR are simply incredible and children that were told they would never walk are not only walking, they are running, jumping and dancing too. Emmy is the most determined, funny, cheeky, messy and loving two year old you could ever meet. When she falls over, she gets straight back up and tries again with a huge smile on her face. We couldn’t be more proud of her. SDR is not funded on the NHS. However in the United States, DR T.S. Park has performed over 3,000 operations and people from all over the world have travelled to St. Louis for this treatment with him. 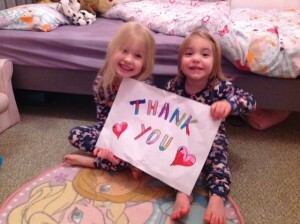 The money we raise will go towards the costs of the surgery, travel and accommodation, post-operative intensive physiotherapy and and the equipment Emmy will require for her rehabilitation. Our family’s dream is to see Emmy doing the simple things in life that are often taken for granted – walking alongside her big sister, playing in the park and jumping in muddy puddles like her favourite character, Peppa Pig! We have a series of challenges and events planned this year to help raise as much money as possible. We keep our supporters up to date on our Facebook Page – www.facebook.com/readyemmywalkand twitter account @readyemmywalk. We will be fundraising through Just4Children (registered charity no: 11644773). Just4Children will securely hold all of Emmy’s funds and pay all invoices directly. Sunday 20th March – 3 hour Zumbathon from 11am to 2pm at The Vyne Community School plus raffle and games. £10 entry donation. Sunday 17th April – Morning of Fun at The Fun House Basingstoke, including soft play, arts and crafts, cake sale and face painting – 10am to 12pm. £5 per child donation on the day. Saturday 30th April – Music & Movement class for babies, toddlers and pre-school children at Sherfield Park Community Centre. Bonding time for parents and young children with nursery rhymes, musical instruments, music and dance. Saturday 28th and Sunday 29th May – Soldiers 3 year Anniversary & Ready Emmy Walk Fundraising Extravaganza! 3rd Anniversary Family Fun weekend at The Soldiers Return Pub raising funds for Ready Emmy Walk. Activities will include Real Ale and Cider Festival, BBQ, bouncy castle, face painting by Routine Riots, huge raffle, cake stall, sponsored men’s waxing event (!!) and pig racing in the evening.